We can say without hesitation that the struggles and tensions in the early Church were much the same as ours. People then, as now, chafe under leadership—even in the Body of Christ. 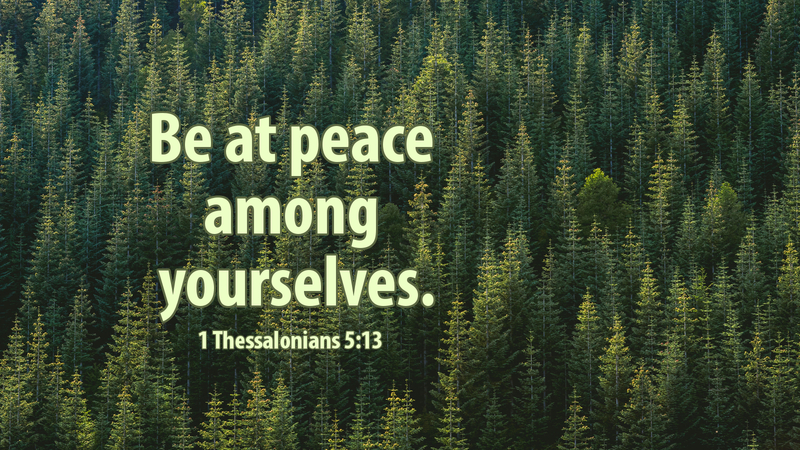 So much so that Paul needed to remind the Thessalonians to respect those who labored among them and were over them in the Lord. Although some are called to positions of leadership in the Body, the Lord makes it clear that we are not to lord it over others, but to serve lovingly and faithfully. Church leaders are sometimes guilty of failing in that. At the same time, members forget to show leaders respect and forbearance. Surely it was the same in Paul’s day, causing him to plead, “Be at peace among yourselves.” And how does that happen in the Church? Paul goes on: admonish the idlers, encourage the fainthearted, help the weak, be patient with all. Don’t repay evil for evil. And above all, rejoice always, pray constantly, give thanks in all circumstances… do not quench the Spirit, but test everything; hold fast what is good, abstain from every form of evil. A church council and every congregation would do well to begin and end every gathering with these words—and especially during the season of Advent, as we prepare for the coming of the Prince of Peace! Prayer: Lord Jesus, give peace in our hearts, our homes, our churches and our world. Amen.